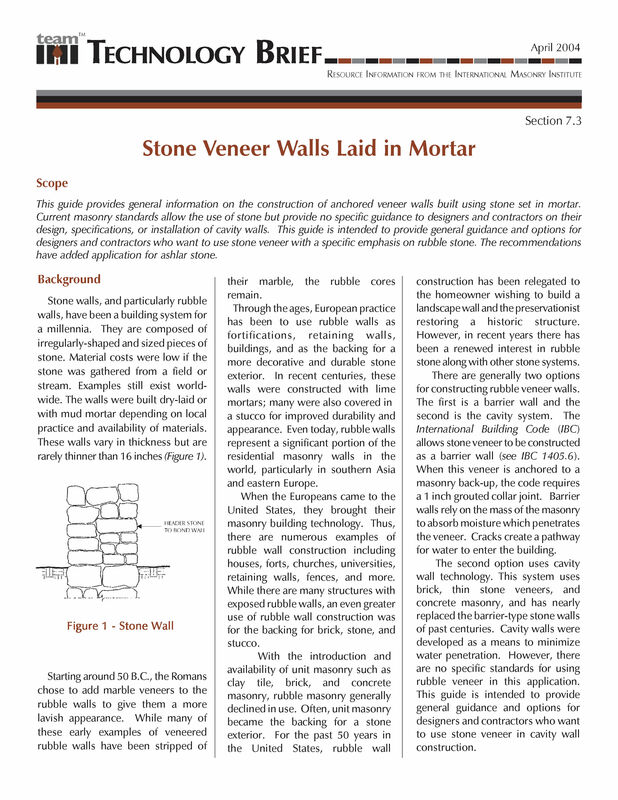 This guide provides general information on the construction of anchored veneer walls built using stone set in mortar. Current masonry standards allow the use of stone but provide no specific guidance to designers and contractors on their design, specifications, or installation of cavity walls. This guide is intended to provide general guidance and options for designers and contractors who want to use stone veneer with a specific emphasis on rubble stone. The recommendations have added application for ashlar stone.